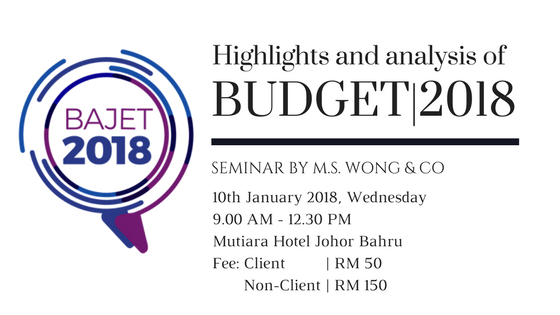 In our upcoming Budget Seminar, we will be providing our analysis on key proposals under Budget 2018 and the practical implications of these proposals. We will also be discussing the latest updates on withholding tax. If you are facing difficulties in response with the changes, let us help you! Time: 9.00 a.m. – 12.30 p.m.
To know more about the seminar, you can download the brochure from the link at the bottom of the newsletter or call us to enquire about it. For those who are interested, please fill up our online registration form below or by scanning the QR code in the brochure below. Alternatively, you can also call us to register.